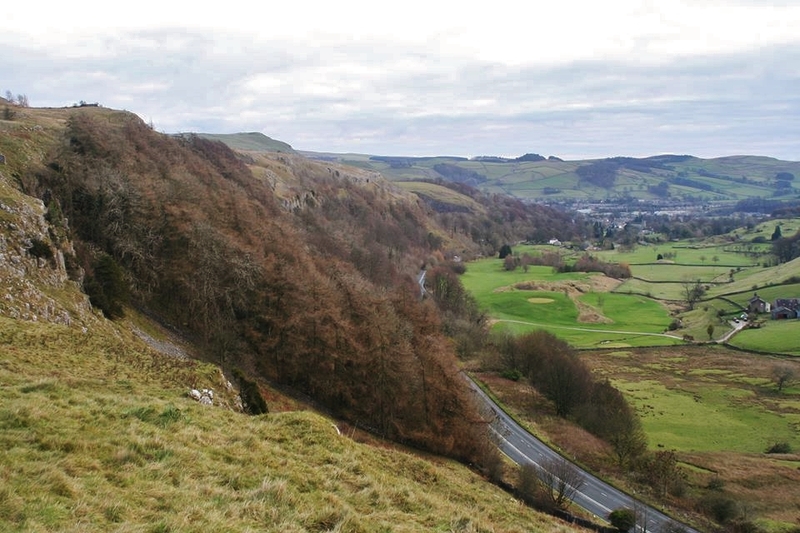 The South Craven Fault’s presence is best indicated by the limestone cliffs making up Giggleswick Scar, just outside Settle. Here, the Great Scar limestone to the north and east of the B6480 has been uplifted and cut back from the original line of the fault scarp, along the southern edge of the Askrigg Block. The cutting back has no doubt truncated or shortened the original cave passages on the scar, and their exact age has never been verified. 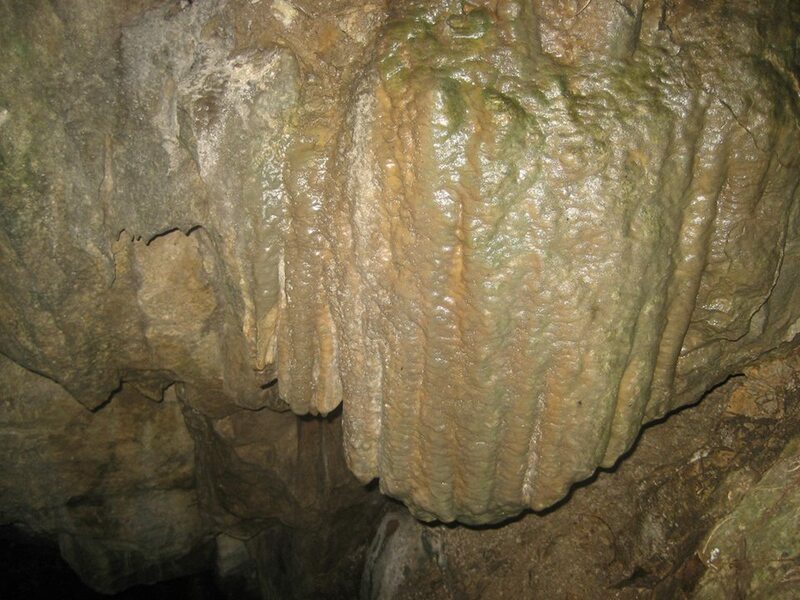 Most geologists agree that the caves are relics from a previous landscape, but how far Devensian meltwater or inter-glacial activity was mainly responsible for the caves has long been open to debate. Being dry passages with little evidence of the original sinks leading into them, it would seem their origins at least pre-date the Devensian. 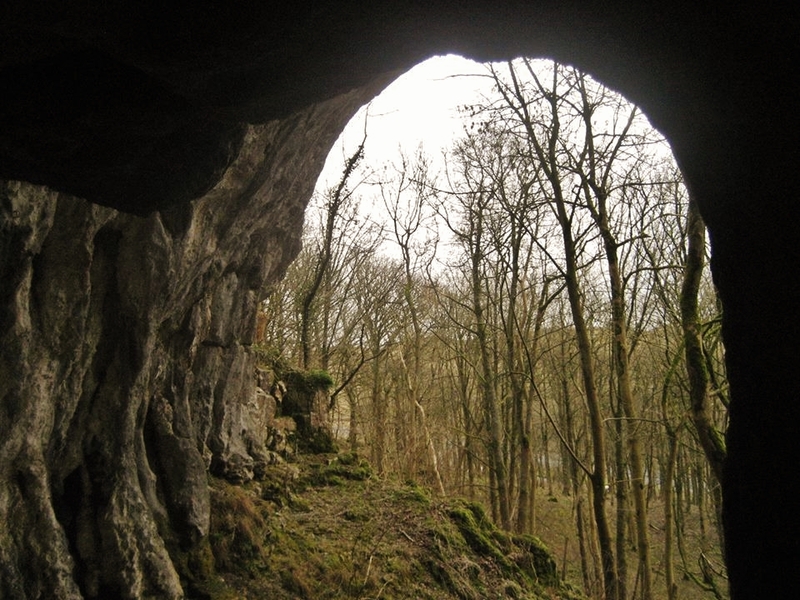 The longest are the well-known Kelcow (or Kelco) caves (SD810646) near Giggleswick Quarry, which contain impressive passages decorated liberally with flowstone and moonmilk. 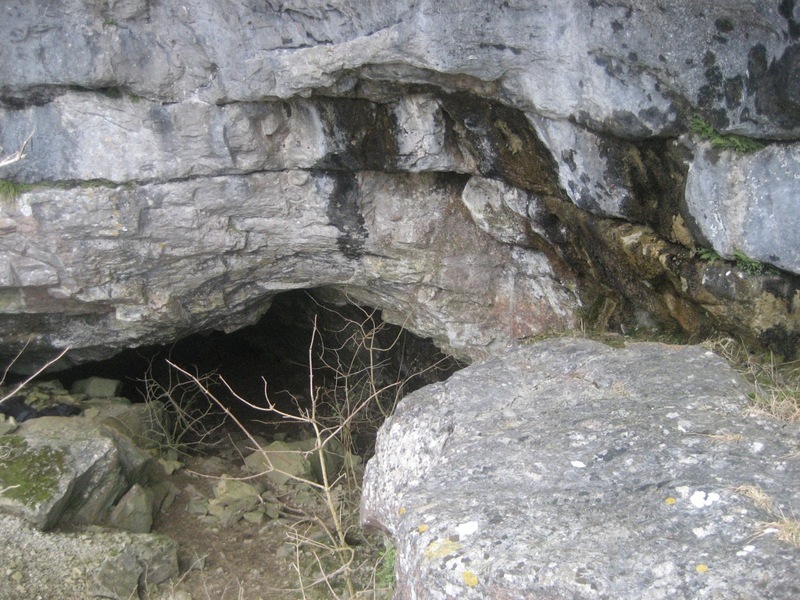 As with the caves on Langcliffe Scar, these caves were largely blocked by sediment until excavated in the nineteenth century to reveal Romano-British, Iron Age and Neolithic material, including a number of skulls. They represent what were originally much longer passages which once emerged in the valley bottom south of the old Giggleswick or Huntworth Tarn; drained in the nineteenth century. 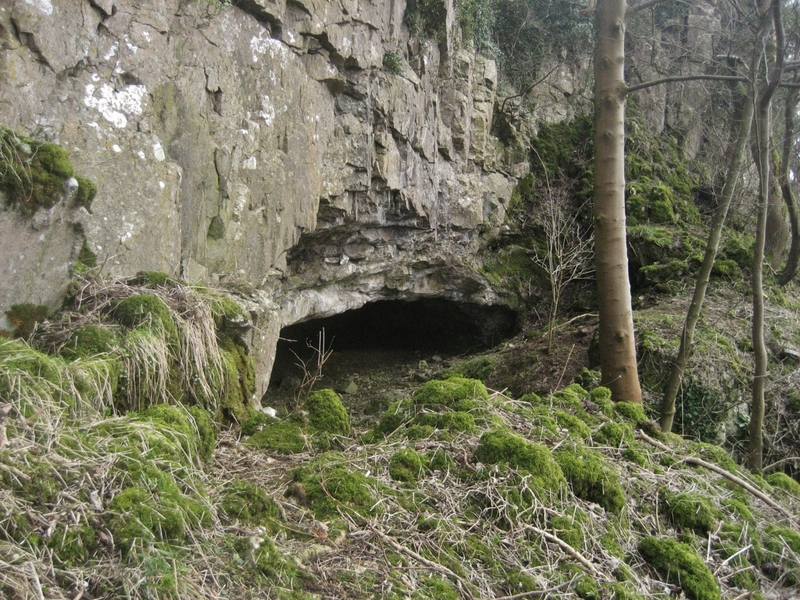 Nearly 70 metres (210 feet) higher up on the scar is the entrance to Schoolboy’s Cave, (SD807652) presumably a haunt for the boys of Gigglewick School, and no doubt a very ancient passage at such a high level. 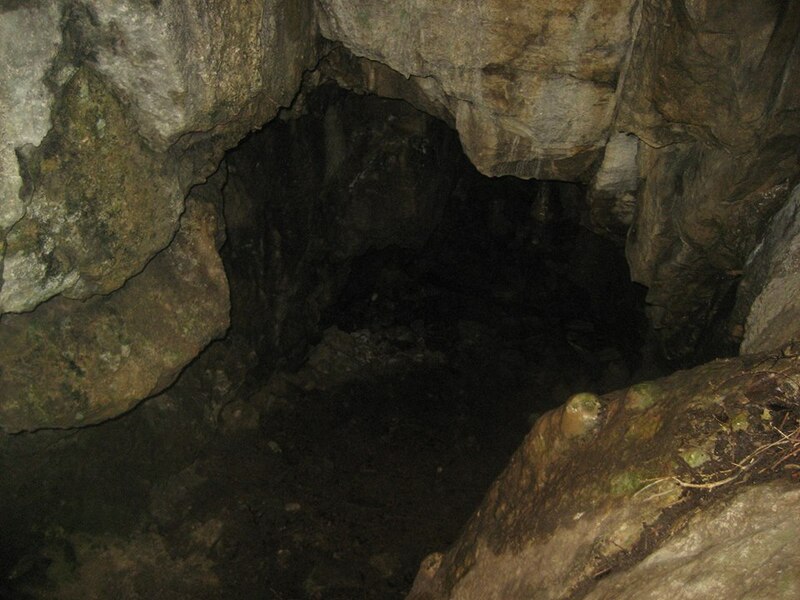 This cave has a 9 metre oxbow just inside the entrance, indicating that water flowed through the system for sufficient time to adapt its route. There is a breath-taking view over the Craven Basin from the entrance. The spectacular horse-shoe shaped chasm of Nevison’s Nick cuts through the cliffs a short distance to the north-west, and is a fault guided former meltwater channel and waterfall feature. Just beyond, a path leads to Staircase Cave, named from the attractive calcite staircase and gour pool just inside. Far below, at road level, is the famous Ebbing and Flowing Well (SD804654) whose resurgence no doubt indicates a large – as yet undiscovered – cave passage somewhere behind. 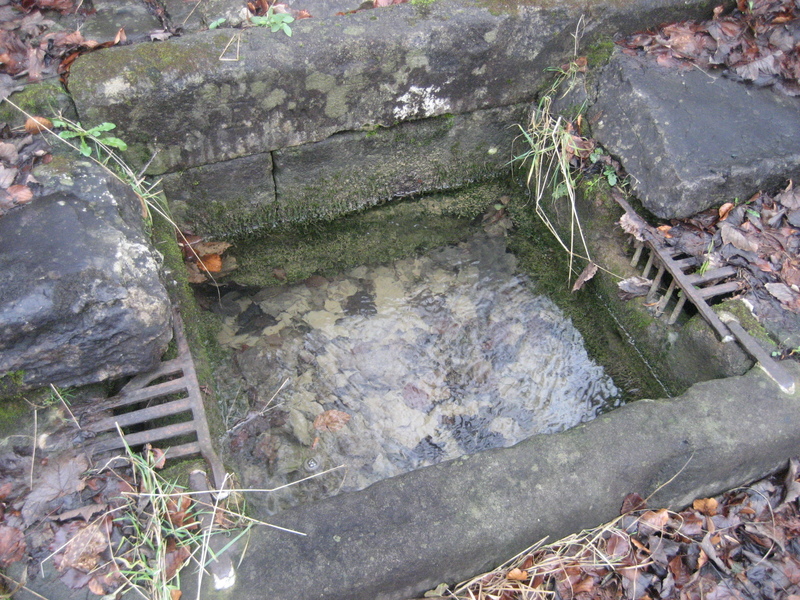 A natural syphon in the rock is believed to be the reason for the strange behaviour of the well, and it does still work to this day, especially after spells of moderate rain. 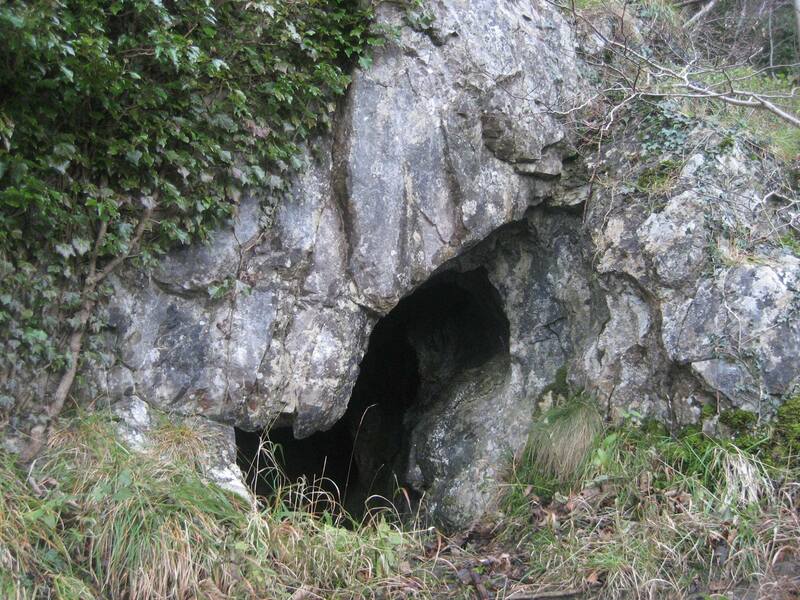 Again by the roadside, and further along the B648) the Buckhaw Brow caves (SD798658) have been partly modified by mining activity as they lie on a small baryte vein. 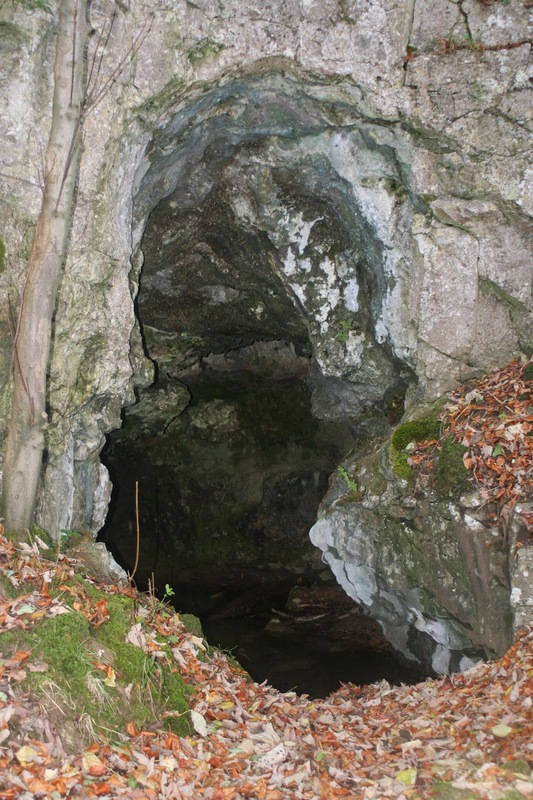 Above, hidden in trees near the top of the scar, is Dangerous Cave – more correctly a long abandoned pothole, where a small shaft drops into a chamber lined with flowstone. It should not be entered – as the name suggests – without a rope, as the sides are steep and slippery. At the top of Buckhaw Brow, a stile leads to the top of the scar with a classic view back towards Settle, and heading south along a grassy track soon leads to Gully Cave, (SD804657) an interesting former cascade with a small cave entrance beneath. Beyond, a stile in the wall leads to a second dry valley on the left, and the beckoning scree channel reaches an impressive overhang, with the entrance to Kinsey Cave (SD804657) only seen at the last minute, shyly tucked away below. 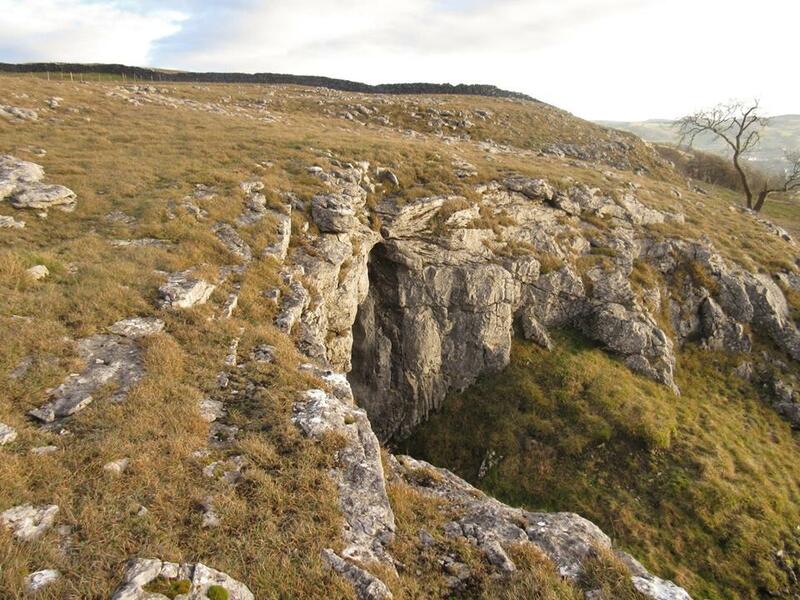 The overhang is no doubt a dry waterfall – a Malham Cove in miniature, and it was probably actively carrying meltwater over the top when the cave beneath was still frozen up. The dry valley indicates there was once a substantial flow here. 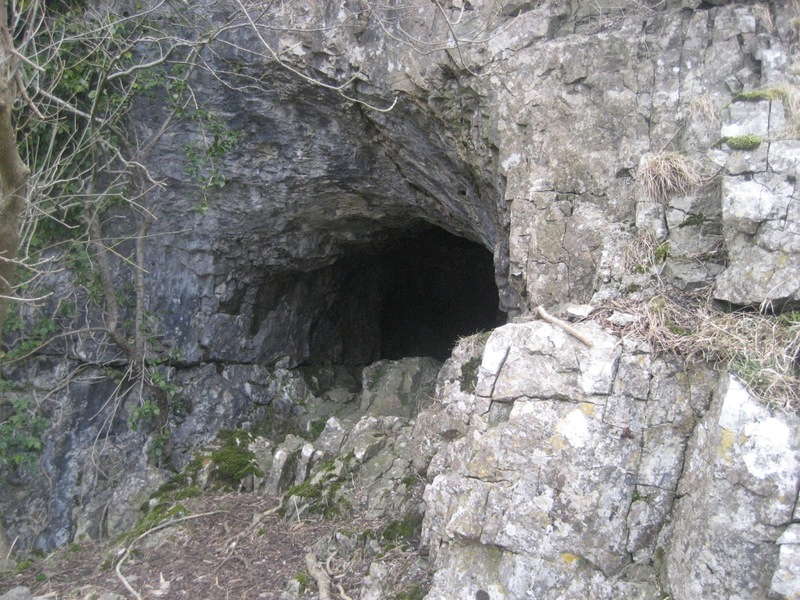 Named after W. Kinsey Mattinson of Austwick, who studied the cave and removed the sediment fill in the 1930s, Kinsey famously contained the skull of a Great Cave Bear – and the animal was believed to have fallen in from a now blocked pothole shaft above. It is fascinating to think that here we are face to face with a landform that was once of major importance in the hydrology of a landscape which, for the most part, no longer exists. 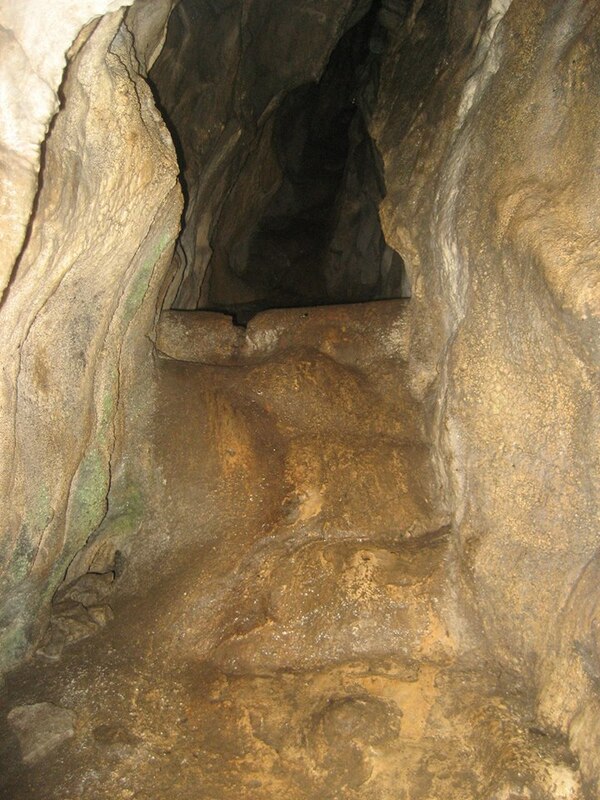 The difference in height between the cave entrance and the dry valley shows that the water was once forced out of the entrance uphill and under pressure – which is typical of many phreatic caves. Just before the B6480 meets the A65 Settle by-pass – a lay-by on the right gives access to several hidden rock shelters in the cliffs beyond. The most impressive is Cave Ha, (SD789662) a massive dome 9 metres high and 24 metres wide into which water once cascaded through a visible hole in the ceiling. It is again a remnant of an ancient landscape. 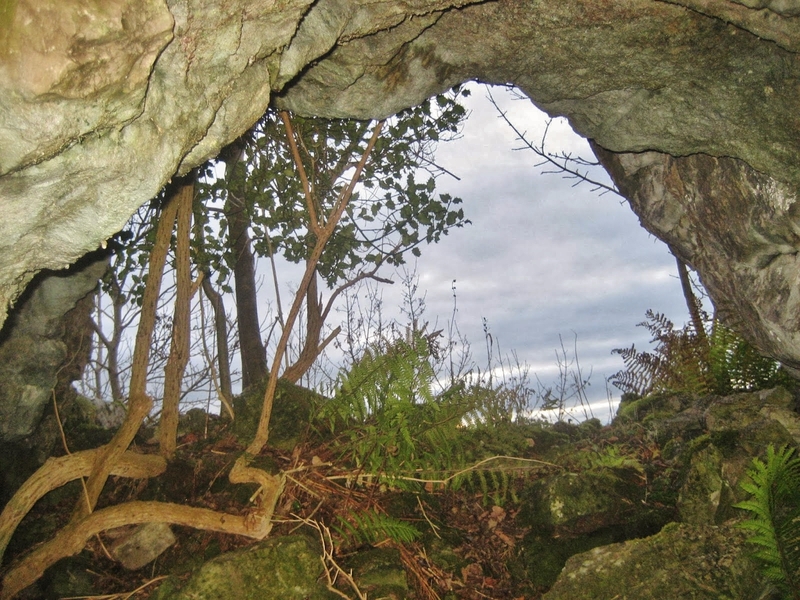 A scramble through ancient woodland will also reveal the entrance to Sewell’s Cave (SD785666), a possible former resurgence that was excavated by Tot Lord in the 1930s, revealing Romano-British material and human skulls from the late Neolithic/early Bronze Age. 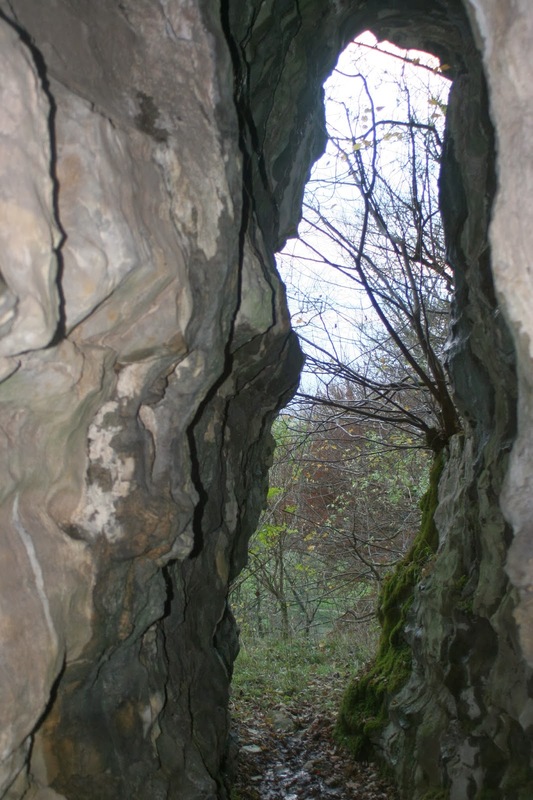 Giggleswick Scar is a fascinating geological feature, repaying several visits with its wealth of features – and where people once did their best to exploit the relatively rare remains of an ancient landscape.